Under the Pennsylvania Rules of Civil Procedure, legal counsel may request opposing parties to produce documents (emails) during the discovery process related to civil litigation. A request to produce documents pursuant to a Subpoena may also be directed to a third party that is not a party to the underlying civil litigation. The production of “documents” includes writings, drawings, graphs, charts, photographs, and electronically created data and other compilations of data from which information can be obtained and recovered into a reasonably usable form. See Pennsylvania Rule of Civil Procedure 4009.1, et seq. The Federal Rules of Civil Procedure are similar regarding the production of “documents” and tangible things. 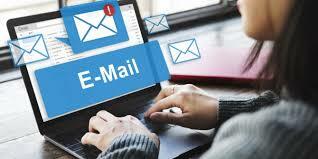 Emails are now routinely used by businesses and persons to communicate information. Clearly, email communications are also discoverable under the provisions of Federal and Pennsylvania law requiring the production of documents in a civil law suit. Recently, a federal magistrate judge imposed a sanction of $566,838.00 against Samsung Electronics Co. and its related entities for destroying emails in a patent infringement case. The Plaintiff, Mosaid Technologies requested the discovery and production of emails related to the issues in the patent infringement case which were not produced by Samsung. The federal magistrate ruled that Samsung was required to preserve and disclose the emails even though Mosaid did not expressly ask for them in its document request. U.S. Magistrate Judge Ronald Hedges found that “no reasonable litigant could believe that Mosaid’s definition of ‘documents’ did not include emails.” Samsung and its counsel ultimately were forced to concede that the company had destroyed emails related to the issues in the case. As a consequence, in addition to the substantial monetary sanctions, the Court further noted that jurors ultimately hearing the trial would be advised that “defendants failed to produce virtually all technical and other emails in the case” and that if the jury found that Samsung “could have produced those e-mails, that the evidence was within their control, and that the e-mails would have been relevant in deciding disputed facts in the case, the jury would be permitted, but not required, to infer that the evidence would have been unfavorable to the Defendants”. The conclusion is that the destruction and/or spoliation of emails and other electronic data is as egregious and punishable by the court as the destruction of other documentary evidence relevant to a civil law suit. Companies should proceed with extreme caution when determining what email correspondence and data to delete and eliminate from their IT systems, particularly where the deleted information may be relevant to a future court proceeding.